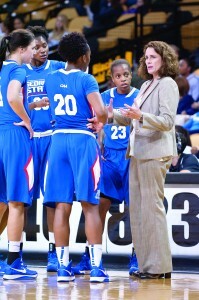 Women's basketball head coach Sharon Baldwin-Tener. Photo courtesy of Georgia State Athletics. We all have that image of a head coach screaming from the sidelines, throwing their clipboard in frustration and scolding players for mistakes. While the initial perception might be a tad offsetting, the reality of the job is difficult. The coach has to be a teacher of leaders. 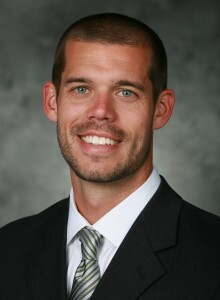 Men’s soccer coach, Brett Surrency. Photo courtesy of Georgia State Athletics. Leadership can encompass on-field and off the field attributes. The leadership qualities like hard work, dedication and striving for excellence, can carry players in athletics and life. One aspect of a student-athlete’s life is balancing an academic schedule along with athletics. Coaches strive to encourage student’s academic and see it as a top priority. In the fall of 2012, eight men’s soccer players earned dean’s list honors and three made the president’s list. “We certainly want the student-athlete to graduate, that is the first and foremost priority,” Baldwin-Tener said. She added that sports like basketball teach players teamwork and “doing your best” in everything. “That works in athletics and in the real world,” Baldwin-Tener said. 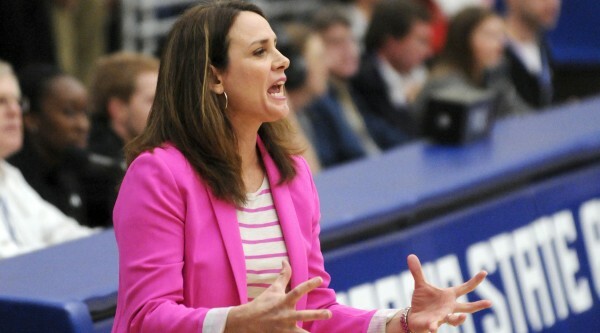 Coach Baldwin-Tener has won over 200 games in her head coaching career. Photo courtesy of Georgia State Athletics. Knowing the capabilities of your players can alter coaching methods from one season to the next. Adjustments are made yearly in collegiate athletics as players graduate and others enter the program as freshmen. Often, upperclassmen are looked upon for leadership. “As a staff, we pride ourselves on improving our coaching methods year after year. In college soccer, the team changes every year as kids graduate and we add new student athletes to the team. In that regard, we have to adjust yearly to new personalities and skill sets on our team,” Surrency said. The importance of versatility includes passing along knowledge from one generation to the next. Surrency said it’s the reason why the program is successful today. “We have come a long way from where we were and those eight seniors were a huge part of that. With them gone, we are looking to our current upperclassmen to step into those leadership roles for this season and beyond,” Surrency said. Baldwin-Tener agreed that players must step up and set an example as leaders for the rest of the team.